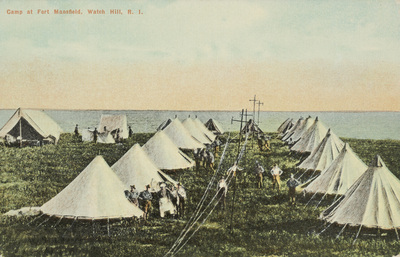 "Camp at Fort Mansfield, Watch Hill, R.I." by Rhode Island News Company, Providence, R.I.
Camp at Fort Mansfield, Watch Hill, R.I.
Rhode Island News Company, Providence, R.I., "Camp at Fort Mansfield, Watch Hill, R.I." (1915). Rhode Island Postcards. 446.